The track may have been associated with the former Ironworks or Dirrans which used to occupy the area directly across the river. It is about 4 lanes wide, completely unfenced, overgrown in parts and clearly largely disused. 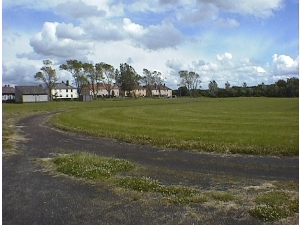 As of June 1999, there is a small mound of earth across the track although one could run round it.